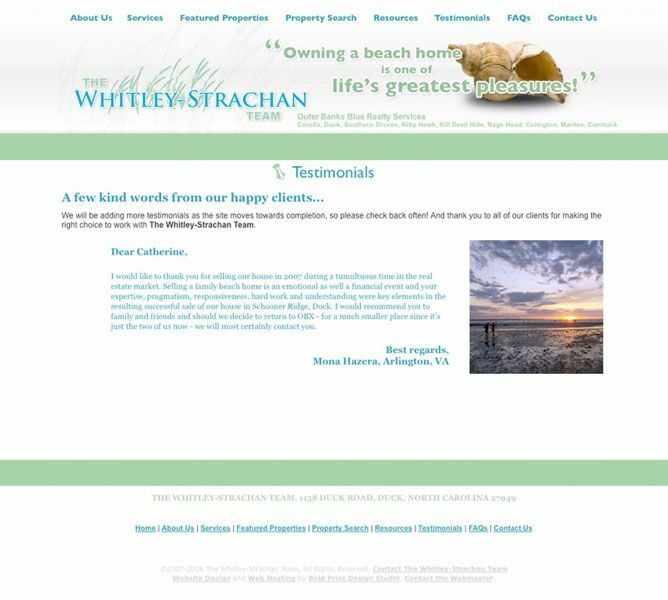 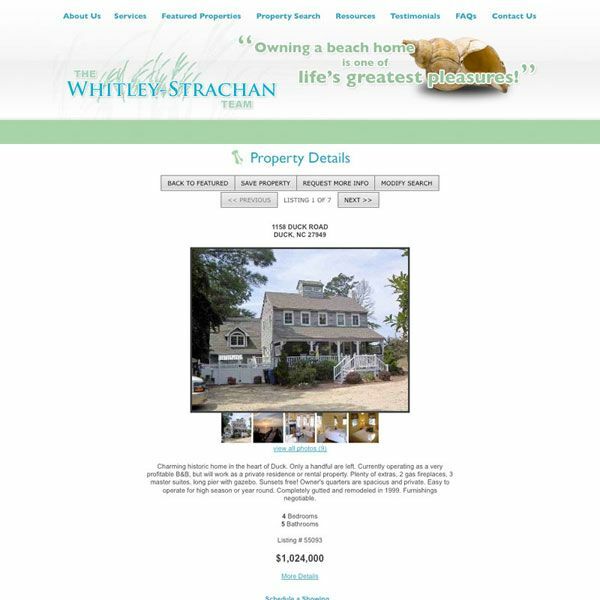 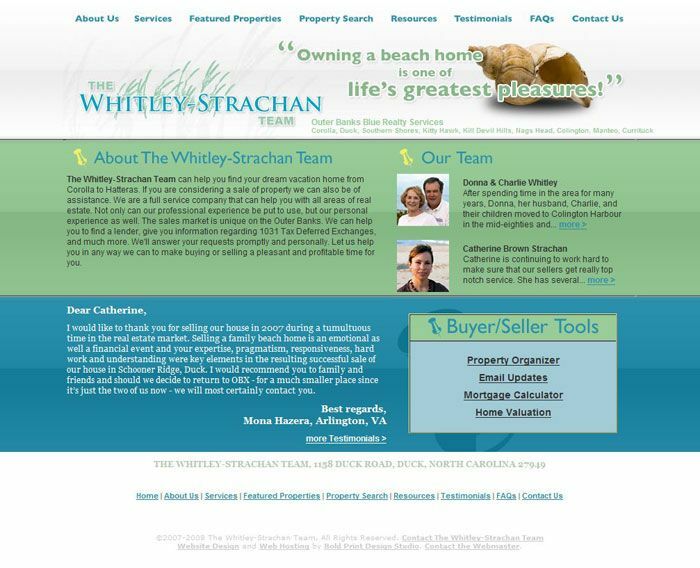 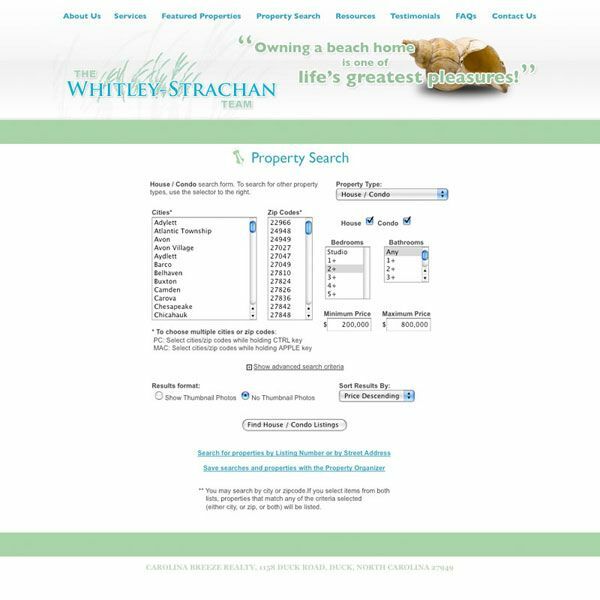 The Whitley-Strachan Team contracted Bold Print Design Studio to design a website that would allow for MLS search. 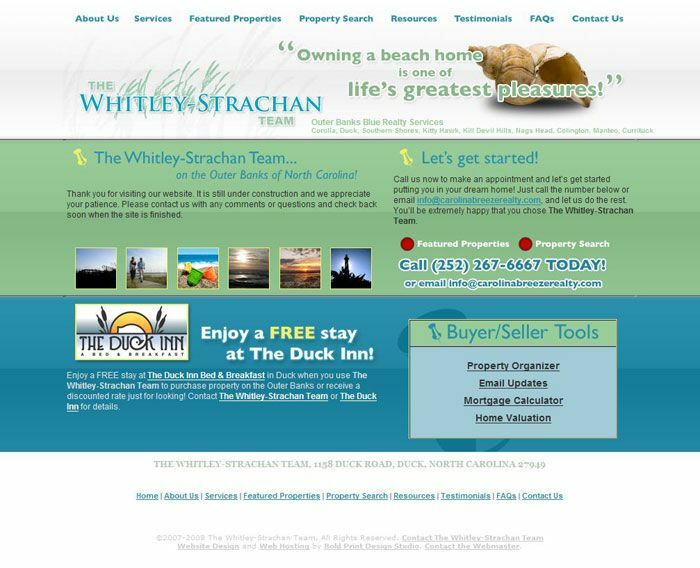 They were just getting started as a realty so first we had to develop the logo which then set the style and colors for the site. 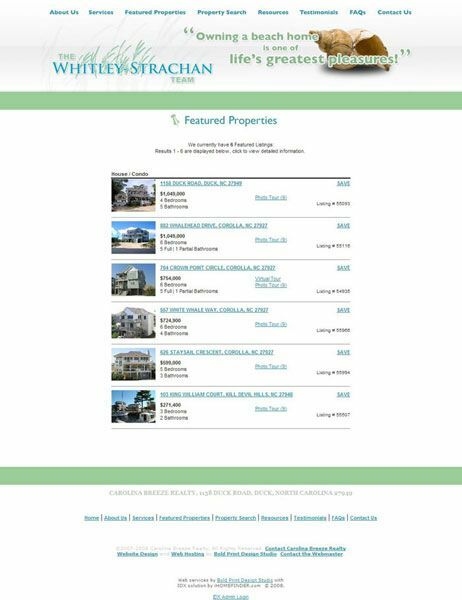 The home page features a convenient “tool box” for buyers and sellers that directly link to the property organizer, email updates, mortgage calculator, and home valuation. The MLS search pages integrate seamlessly into the site without the use of framed in boxes, or redirecting to a different website.